SWS can proudly claim that, during their 30 years of experience, they have become the market leaders in Roller Shutter Doors, and are the first to have manufactured the ‘Secured by Design’ roller shutter door - the first roller door to be recognised by the Police. 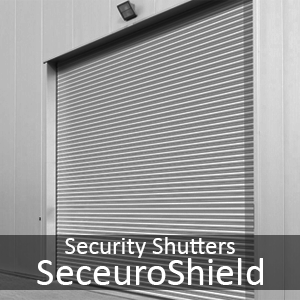 There is no need to be fooled by cheap, extremely low quality roller shutter doors that do not actually include a lock, when there are genuine, high quality roller doors like those offered in the SeceuroGlide range. The parts included are not generic, but are manufactured specifically for the SeceuroGlide and are manufactured rather than assembled. 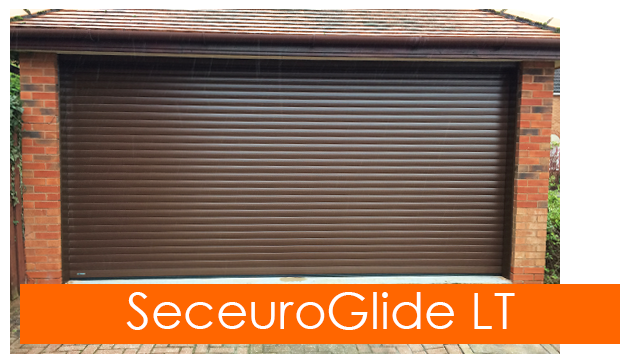 When you buy a SeceuroGlide, you can be assured under the knowledge that it is far more secure as it is equipped with a patented locking system, as well as considerably more safe and durable than so many other roller doors that are available on the market. Since 1985, SWS have significantly evolved their product range, now offering Roller Shutter and Vertico garage doors, as well as security shutters, grilles, flame curtains and industrial garage doors. SWS boast an extreme dedication to security and safety features which are fully compliant with the latest UK regulations, allowing each of their customers to sleep-easy in the knowledge that their garage is secure. Take a look at the ranges of SeceuroGlide available from SWS below, and continue scrolling to find out what the SeceuroGlide doors have to offer. See the types of SWS garage doors below and click the pictures to see the relative products in our catalogue. 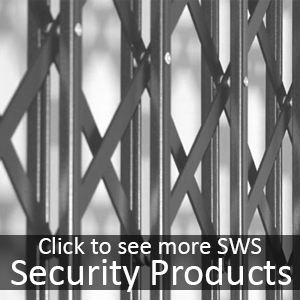 Alternatively, click here to see our full SWS product range. 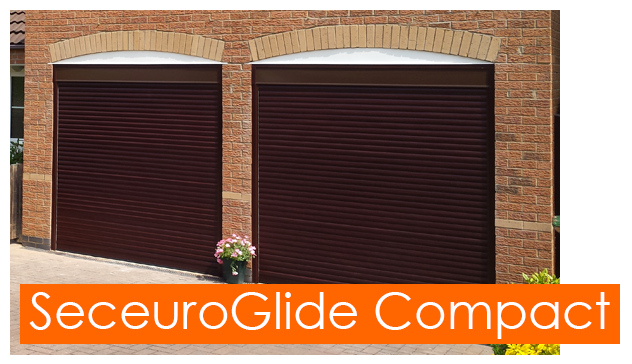 The original SWS SeceuroGlide and the U.K’s leading insulated roller shutter garage door, and has maintained its market leading position after its continuous developments and improvements. First produced in 1997, the market leader is manufactured with twin-walled aluminium to provide insulation for your home, as well as the durable strength and locking system required to prevent unwanted intruders. The Classic is undoubtedly unchallenged by competing roller doors, with the option to upgrade to the Excel. The SeceuroGlide Excel is the first garage door to be approved by police and security standards; its creation was based on the increasing burglary rates in the U.K, with your home's security as the priority. 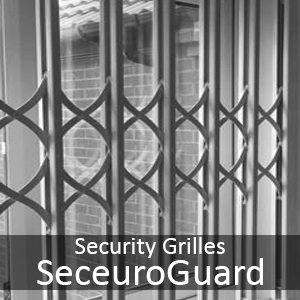 The bottom slat of the door firmly interlocks with the anchors built into the slat, preventing unwanted break-ins. Additional lighting and alarms are also optional for extra precaution. Despite its greater security, the door still offers fantastic operation and a wide choice of colours. The LT is manufactured for customers who desire the benefits of an insulated and secure garage door, however without the added features of the noise reduction webbing. This door is the perfect solution for a long-lasting, value entrance to your garage. 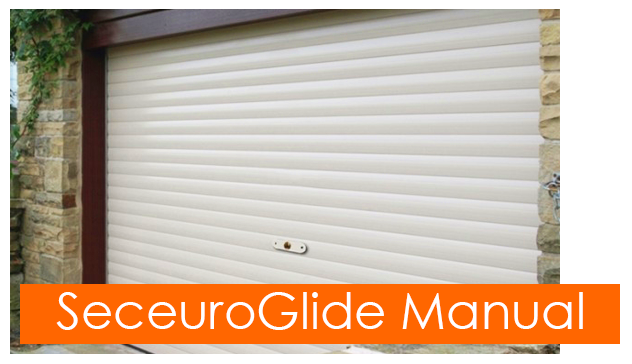 Although lower in price due to the absence of webbing, the door does not compromise on the quality of a SeceuroGlide. Various additional extras are also available with the LT, as well as a number of colour and woodgrain finishes. The SeceuroGlide Compact door is produced for those with limited garage space above the entrance, making an already versatile door type, even more so! 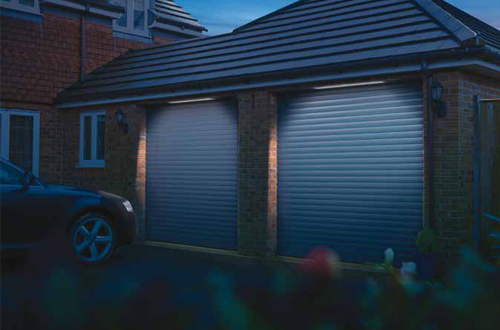 The door requires only 205mm of headroom, meaning owners of smaller garages are able to own a remote-controlled, high quality garage door from the quality brand of SecueroGlide. In addition to the smaller aluminium box and narrow guide rails, the door can be electrically controlled in your choice of colour finish. 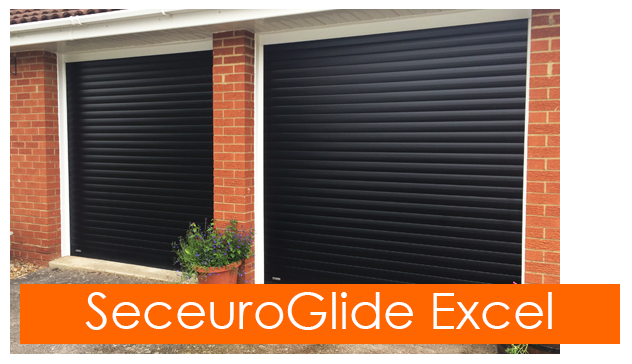 The SeceuroGlide Manual door is an ideal solution for garages where electricity is not available or an electrically operated door in not needed or required. The door has been manufactured for you to experience a smooth and easy operation; the door opens and closes vertically, via a lock in the middle of the door. The door can be opened or closed internally and externally using the handles provided, with a number of low maintenance colours to choose from. SWS provide an excellent range of secure garage doors for your home, with options of Roller, Sectional or Vertico (round the corner) garage doors. SWS garage doors are designed to withstand any attempts of forced entry with sturdy top slats and strong locking systems. SWS have even succeeded in manufacturing the first ever garage door that has achieved the Secured by Design accreditation, and therefore approved by police and insurance standards: The SeceuroGlide Excel - absolutely assuring you of a garage door repellent of intruders. The Excel was designed with particular attention paid to recent UK burglary rates and focussed heavily on the absolute necessity for a garage door, the entrance to a room typically with contents of significant value, to be equipped with the best security features available. The number of cheap, badly constructed roller doors now on the market that do not actually have locks is considerably high, however all SeceuroGlide doors are equipped with a patented locking device which effectively holds the door down when closed. SWS provide you with the option of lighting, not only giving you an extra security feature at night, but also creating an attractive aesthetic. Your garage door can also be fitted with an alarm which is triggered when any force is applied to the door. Employing all safety features compliant with the latest UK regulations, SWS guarantee safe and accident-free garage doors. SWS domestic garage doors feature a leading bottom edge safety sensor that is connected to the operating mechanism, preventing crushing when the door closes automatically. All SWS garage doors have insulated foam-filled slats, rubber seals and a high curtain, meaning that the garage doors are certain to aid in insulating your garage and home. Additionally, such features assist in improving energy efficiency and the prevention of drafts, in turn reducing your heating bills. Unlike more traditional Up & Over doors, SWS roller shutter doors do not require space for the door to swing out when opening; instead, they open vertically upwards, neatly rolling away into a sleek and discreet capacity. 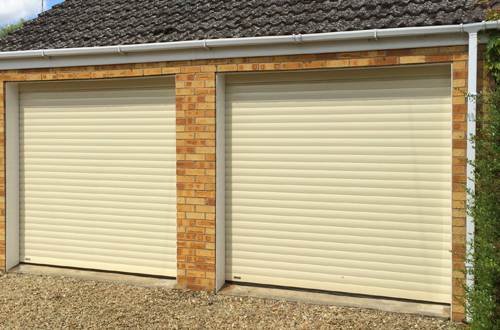 The roller shutters therefore allow you to drive vehicles right up to the door on both sides, and are also suitable for large vehicles and SUVs. Additionally, the tight roll doesn’t encroach into the overhead space of your garage, meaning any overhead storage is unaffected. SWS Vertico round the corner doors are also an excellent option to save space in your garage as the door simply slides to the side of your garage, also offering partial opening for easy pedestrian and bicycle access. SWS garage doors are available in a range of colours and finishes, including woodgrains and painted woodgrains, allowing you to select the most suited finish to your home’s style. Depending on your selected garage door type, you may be able to select optional extras. 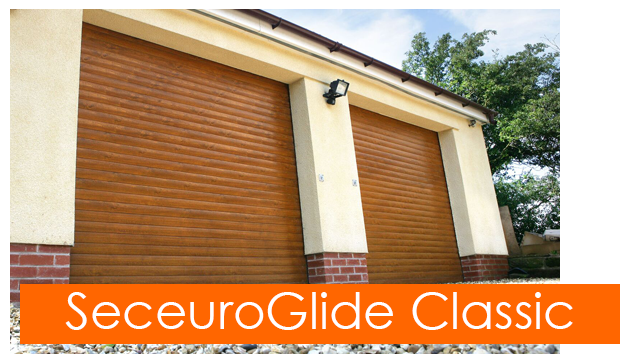 For instance, installing a SeceuroGlide Classic provides you with the option to add vision slats to the top of your door, allowing natural light to enter your garage. You are able to keep the appearance of your garage door maintained with a simple damp cloth and mild detergent to remove excess dirt. If you purchase an automatic roller door, you are able to select two remote controls from a variety of styles, enabling you to open your garage door from your car with ease. Optimising the use of modern technology, SWS also allows you to control your garage door from your own mobile telephone with SeceuroGlide Connect; you are able to use your phone as a remote control to your door, and can even check whether you have closed your garage door using SeceuroGlide Connect+. SWS additionally provide a range of steel commercial and industrial doors, with both single skin and insulated options available. With various types of industrial doors available, SWS are sure to provide the suited garage door for you within their SeceuroShield range. The steel doors are ones of significant strength and durability due to their laser-cut, folded endplate, and offer excellent quality as a result of the specialist engineering and expertise of SWS. As well as there being a range of colours and finishes to select from, there is also a variety of motors, enabling you to choose many of your preferred features.